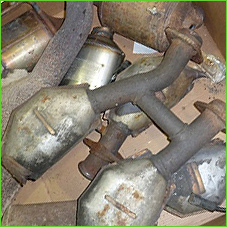 Catalytic converters became widely used in 1975 to meet rising EPA air pollution restrictions. In exhaust systems, catalytic converters provide a space where the chemicals in exhaust can be made less harmful before being released into the air. The materials in converters can be recycled – either as converters or in other applications.